Create your own tissue box luthier workshop! A luthier is someone who makes or repairs stringed instruments. Arrange your instrument bodies (tissue boxes), strings (rubber bands) in a workshop fashion. No instrument? No problem! 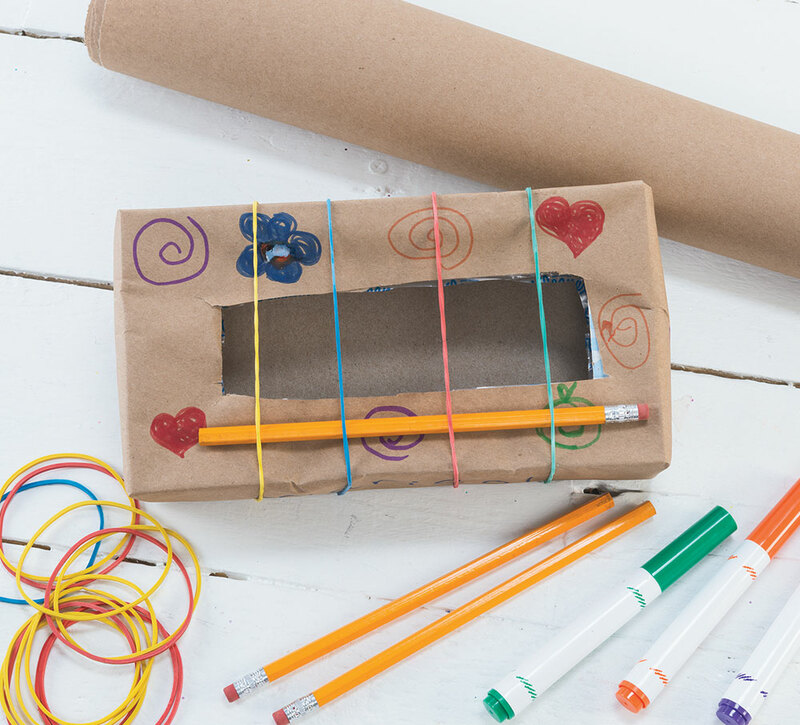 You'll be making your own with an empty tissue box, several large rubber bands, pencils and paint, crayons, stickers or any other craft materials you'd like to use to decorate your instrument. Feel free to incorporate foam shapes, pom-poms and more. Have the children decorate empty tissue boxes with the craft materials that you have available. 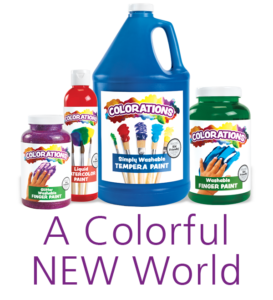 If using paints or glue, allow the boxes to dry before proceeding. Once their tissue boxes are decorated, demonstrate how to safely place two rubbers bands around each box. Space the rubber bands at least 4 inches apart from each other. Have children strum or pick the bands to see what sounds they can make, and listen to them resonate in the box. Encourage them to experiment with moving the bands to see if the sounds change. Place a pencil underneath the bands on either side of the box opening. How does that change the sound? Provide additional materials and let the children explore the sounds of different materials and placements. Discuss the sounds that the children make with their instruments. What sounds to they enjoy? What sounds do they think sound bad? Encourage them to manipulate their instruments in order to find sounds that they really enjoy. This is a great age to begin learning to discuss music and taste. When decorating, be sure that your tissue boxes are completely dry and that there aren't any ornaments in the way of the rubber bands. These may cause your sound to not ring as clearly. Create a homemade band by adding beads to containers for shakers and blowing onto the openings of bottles for unique wind instruments. Practice rhythm by having different instruments play on each beat.